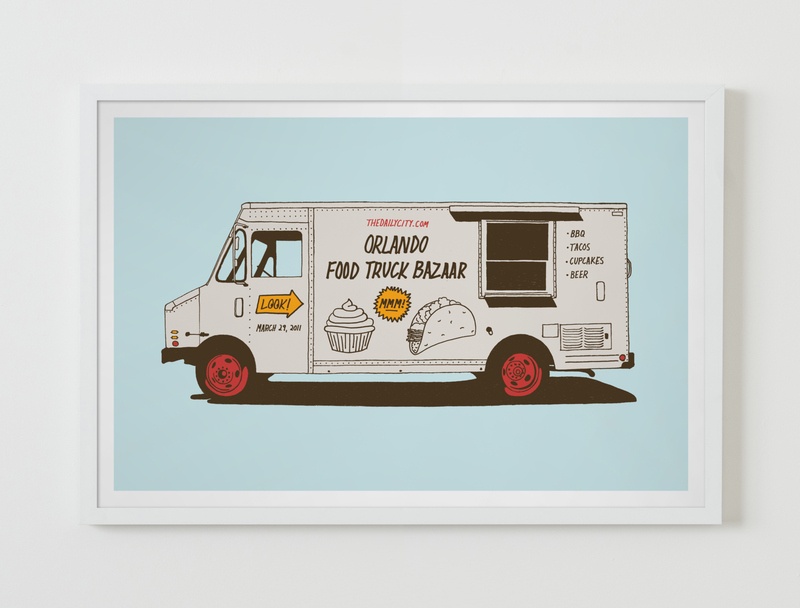 This poster was designed for the inaugural Orlando Food Truck Bazaar, it's a 12"x18" screen print in four colors, printed on 100lb. French Starch White by Orlando printers Mama's Sauce. Limited to an edition of 50, signed and numbered.